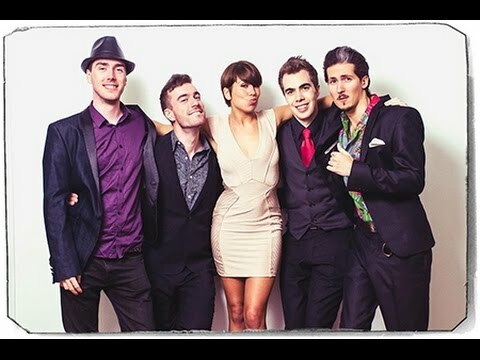 Comprised of some of the finest session musicians on the London scene, GoGroove delivers a truly unique live performance offering a groovy mix of Pop, Dance, Soul and Rock all aimed at getting people off their seats and onto the dance floor! To see the band in action, then check our their video on the right hand side of the page. A unique video in that is a truly 'live' recorded performance - a rarity these days! Having individually supported Beyoncé, and worked with artists such as Ed Sheeran, Miss Dynamite and Shy FX, every member of the band is an artist in their own right and knows how to get the party started! They have also featured on BBC Radio, primetime Channel 4 TV shows and perhaps most bizarrely, on adverts for an American shaving product and a popular Danish beer. If the five piece is not enough for you, then the band can add a two piece horn section to the lineup. To see if this top of the range party band is available for your wedding or special event then add them to your shortlist (possibly longlist) or enquire now for a direct price. Sorry, Go Groove doesn't have any photos right now Send us an enquiry and we'll get back to you, or check out the rest of the act profile. Sorry, we don't have a setlist for Go Groove yet Send us an enquiry and we'll get back to you, or check out the rest of the act profile.